Get Honda Amaze for Test Drive! 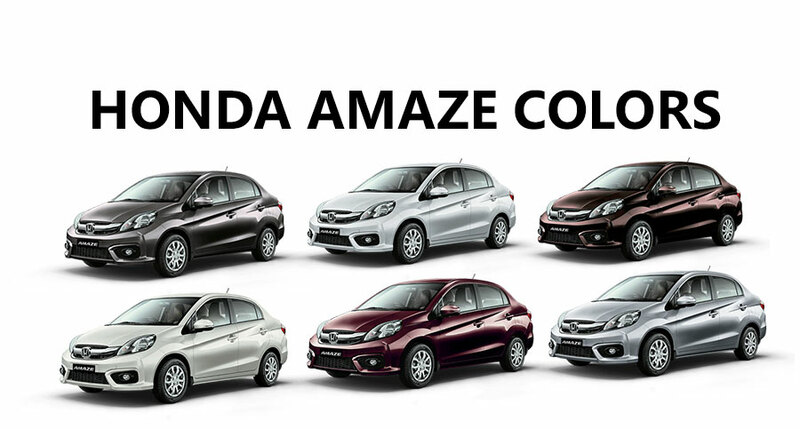 Provide your details so that we can arrange a test drive of Honda Amaze for you at your city! Honda Amaze is available in carnelian red pearl color variant. Following is the photo of all new Honda Amaze in Carnelian Red Pearl color variant. The all new Honda Amaze is offered in Alabaster Silver color option. Following is the photo of Honda Amaze in Alabaster Silver Color. The all new Honda Amaze is available in both petrol and diesel engine options. Honda Amaze petrol variant gets a 1.2 litre i-Vtech petrol engine which is capable of producing 88 PS of power. The engine of Honda Amaze is mated to manual transmission gearbox, also the car is available in CVT gearbox option. The mileage offered by Honda Amaze is around 18 Kmpl. The diesel variant of Honda Amaze is powered by 1.5 litre i-Dtech diesel engine which churns out 100 PS of power. The fuel efficiency of Honda Amaze diesel variant is 25.8 Kmpl. The all new Honda Amaze is offered in 4 trims: E, S, SX and VX. The Honda Amaze S and VX option is available with CVT gearbox. When it comes to dimensions, the all new Honda Amaze measures 3990mm in length, 1680mm in width, 1505mm in height and wheelbase is 2405mm. The fuel tank capacity of Amaze is 35 litres and the car gets a large boot space of 400 litres.